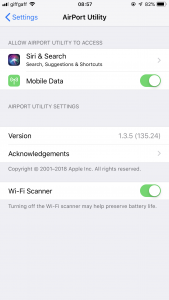 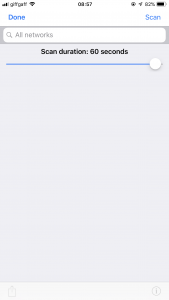 On your phone, go to “Settings” > “AIRPORT UTILITY” and enable “WI-FI SCANNER“. 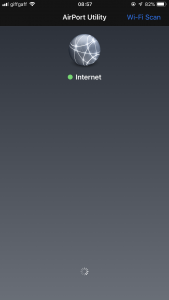 Then go to the App and tap Wi-Fi Scan on the top right-hand side corner. 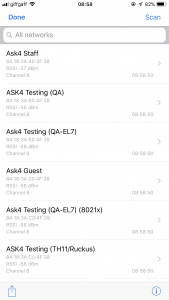 Set the scan duration to 60 seconds and tap on Scan.